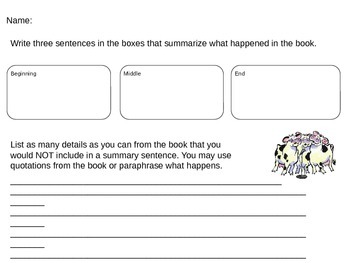 After reading Doreen Cronin's book, Dooby Dooby Moo, students will summarize what happens in the beginning, middle, and end. 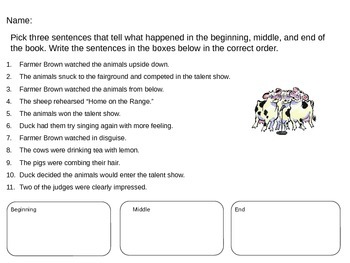 The activity is differentiated for two group levels. One gives options for main idea and details, while the other has students generate summarizing sentences.